1. Indian Standards: Specification IS: 1239 (Part-I) 1990 (Light, Medium & Heavy Series) Black & galvanized, plain end screwed and socketed up to 100 mm NB all series, 125 & 150 mm NB. 2. 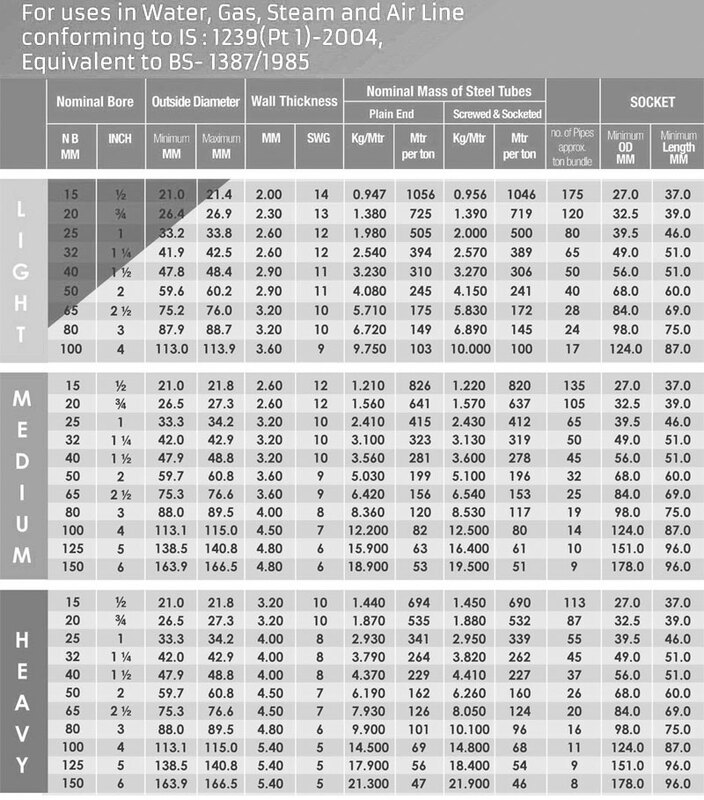 Indian Standards: Specification IS: 1978-1982 up to 200 mm NB grade & YST - 170 and YST - 210. 3. Indian Standards: Specification IS: 1161-1998 up to 150 mm NB grade & YST - 210 and YST - 240. 4. Indian Standards: Specification IS: 3601-1984 up to 168.3 mm OD and 7.1 mm wall thickness. 5. 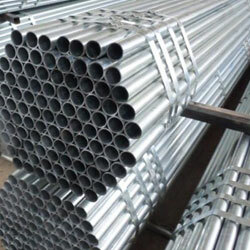 Indian Standards: Specification IS: 3589-1991 ERW Steel Tubes 150 mm to 400 mm NB.4. 6. 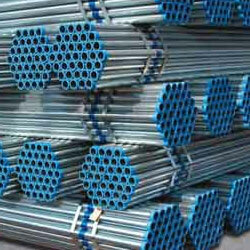 Indian Standards: Specification IS: 4270-1992 ERW Steel Tubes for water wells up to 300 mm NB. 1. British Standards: Specification BS: 1387-1985 (Light, Medium & Heavy Series) black & galvanized, plain end screwed and socketed up to 100 mm NB all series, 125 & 150 mm NB. 2. British Standards: Specification BS: 1775-1964. 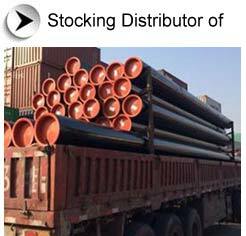 Steel Tubes for mechanical structural and general engineering purpose. Galvanized pipes were commonly used for water supply lines many years ago, but over time many have filled with scale, which is why some older homes suffer from low water pressure. Hard water greatly reduces the life of steel pipe. While it can be used for all piping inside a building, its most popular use today is for handrails or for replacement of existing pipe. Copper pipe and plastic are preferred for underground installation. ASPL brand galvanized tubes are hot dipped with zinc coated made of steel that has been covered with a layer of zinc metal. During the galvanizing process, we immerse the steel in a molten zinc bath, ensuring a tough, uniform barrier coating. Consequently, Zinc's natural corrosion resistance provides the steel a long-term protection from various environmental hazards. The Pipes and tubes that we manufacture are made of galvanized steel, are primarily used as building materials in construction industries. For years, designers, builders and consumers seeking long-term structural performance in the harshest of outdoor applications have turned to our zinc-coated steel pipes. More over Zinc-coated galvanized tubes resist the attack of wind, water and road salts. 1) IS : 1239 & BS : 1387 covers sizes upto sizes upto 100 mm NB all series, 125 & 150 mm NB medium & heavy series, Plain end & Srewed and Socketed ends. 2) IS : 1161 covers all sizes Plain End Only. 3) IS : 1161 O.D. Tolerance will be as per dimension tolerance table, above table min / max. O.D. applicable for IS : 1239 only. Our range of galvanized steel tubes are covered by a layer of zinc & are used for varied applications. These are available in various size and shapes based on the customers requirements. These tubes are natural corrosion resistant and hold functional durability, even in outdoor environments. Apart from preventing water corrosion, it is equally effective in dry, indoor environments.